The latest Ultimatum model to receive the ‘XL’ upgrades has made its first public appearance. 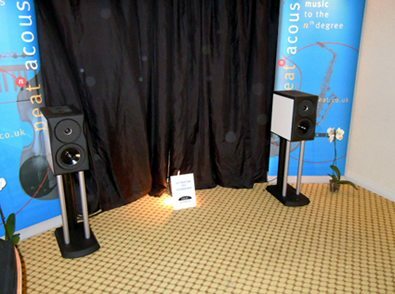 The Ultimatum XLS, an improved version of the award-winning MFS model, created quite a stir at February’s S&V show, delivering a performance which was judged by visitors to be superior to many much larger and more costly designs at the show. The XLS features a birch plywood cabinet, isobaric bass loading, membrane-coupled baffles, Sonomex domed tweeter, upward-firing super tweeters and a revised crossover. This latest addition to the next generation of Ultimatum loudspeakers will be shipping in April 2011.